On the meadow things rustle, squeak and move about. 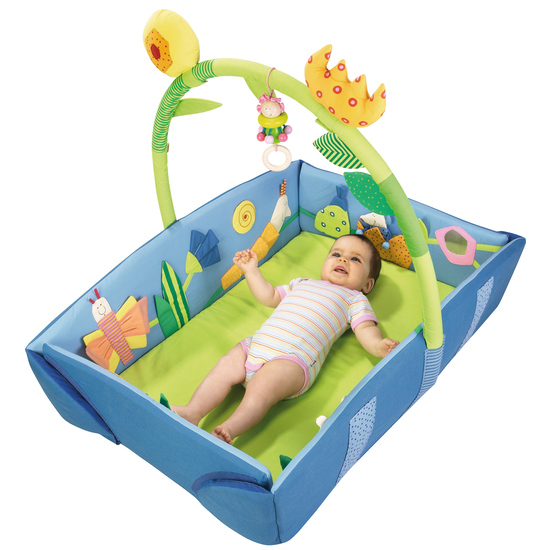 Babies love it and the sounds stimulate their sensory awareness. The lateral sides can be flapped up so that the playing rug changes into a little bed or a nappy changer. The playing gym allows little ones to discover even more! A cloth may be placed over as protection against mosquitos. Squeaker, rustling and glitterfoil pockets included.